You have probably heard by now that a prequel to beloved ’80s fantasy film “The Dark Crystal” is coming soon to Netflix in the form of a 10-episode series. Featuring all Jim Henson Creature Shop/Brian Froud beasties, “The Dark Crystal: Age of Resistance” is set to take place long before the original film and deals with how the Gelfling fight back against the Skeksis Lords, after they have begun to drain the Gelfling of their life essence. At the end of “The Dark Crystal,” we were told that the Skeksis and Mystics were once one type of race that were split into two; “Age of Resistance” apparently will not go back quite that far, but I’m sure it will be discussed. While there are already Dark Crystal graphic novels that are prequels and sequels, the Jim Henson Company and Grosset & Dunlap decided in 2013 to find an author to write the official Dark Crystal prequel novel. Through a contest called the Dark Crystal Author Quest, they discovered J.M. 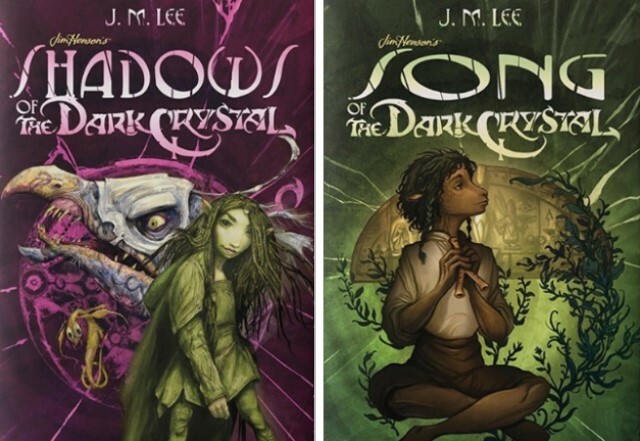 Lee, who has since written the first two books of this prequel quadrilogy: “Shadows of The Dark Crystal” (2016) and “Song of The Dark Crystal” (2017). Lee is also a writer for “Age of Resistance,” which is filming this fall. The books take place even before “Age of Resistance,” at the point where the Gelfling first discover the Skeksis’ betrayal. While they have strong themes of coming-of-age and discovering your worth, the writing is lush and detailed, and the worldbuilding is excellent, despite dropping the reader right into the story. They should be enjoyable for all ages. In “Shadows,” a likeable, scrappy young Gelfling named Naia sets out to find out why her brother Gurjin, a Skeksis castle guard, has been accused by the Skeksis Lords – purported protectors of the Gelfling – of being a traitor. A Drenchen Gelfling (now we get to see the different clans! ), she comes from the swamp and has a pet flying eel, as well as green skin and something like dreadlocks. In interactions with other clans, we also learn that she smells bad and eats gross, slimy things! She’s great and I really hope that she’s still around in “Age of Resistance.” Naia is also the daughter of her clan’s Maudra, a matriarch with special healing magic, and the next in line for the position, but she’s a late bloomer who hasn’t even grown her wings yet. Naia teams up with runaway Kylan, a misfit, dreamy-poet from the tough Spriton clan, and the two of them travel towards Ha’rar to see the All-Maudra, or head Gelfling matriarch, so Naia can defend her brother’s innocence. While Naia has healing powers and is a fighter, Kylan’s knowledge from folk tales and songs get them out of several scrapes. Together they stumble upon ordinary creatures of Thra whose minds have been twisted, turning them violent and destructive. Naia also discovers a vein of violet crystal running deep in the ground that seems to be the cause. We know from “The Dark Crystal” that Thra’s life force crystal has been cracked – the damn Skeksis were supposed to be guarding it – and now we see how it’s corrupting the planet. There is also an interesting encounter with a Mystic, but neither Gelfling seems to recognize what he is. The pair soon suspects that Gurjin has become a “traitor” only because he discovered that the Skeksis are up to something sinister. “Shadows” culminates in a visit to and narrow escape from the Skeksis’ castle, with the duo’s new terrifying knowledge of Gelfling-draining. “Song of The Dark Crystal” picks up with Naia and Kylan joining forces with the only other person who shares that knowledge – Gurjin’s friend and fellow castle guard Rian. This time, the story is narrated by Kylan instead of Naia. I am still reading, but currently, they are headed to see this mysterious, legendary Aughra (she’s more important than we knew! ), before continuing on to Ha’rar, with the new intention of seeking help to warn all the Gelfling. If you’re a fan of “The Dark Crystal” or of fantasy in general, I definitely recommend picking up the books. You can also read the somewhat confusing mythology timeline on the Dark Crystal site, to tide you over while waiting for “Age of Resistance” to arrive next year. 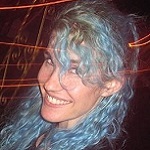 This entry was posted in Books, Miscellanious, Movies and tagged brian froud, fantasy, J.M. Lee, jim henson, the dark crystal. Bookmark the permalink.